22Cans next game experiment will be "the greatest cooperative effort the world has ever known". 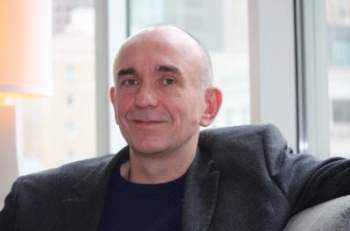 When Peter Molyneux first introduced his plan to create 22 high-concept game experiments with the recently formed 22Cans, many were cautiously optimistic and intrigued. Since then, discussion about the team has largely revolved around Curiosity, the mystery game that ultimately only one player will be able to solve. As interesting as the idea is, there are still another 21 experiments to go once the final cube has been chipped away. Molyneux has revealed some initial hints of what 22Cans has planned next: a large-scale co-op game aptly named Cooperation. "Cooperation is very, very different," Molyneux explained, "maybe it's not a game, or maybe you'd call it a social game ... If you think of [Curiosity] being the biggest mystery posted to the digital world, Cooperation is the biggest cooperative effort the world has ever known." While Molyneux hasn't revealed any specifics, he noted that the game was inspired by Tug of War and will be competitive in nature. Presumably, the game will feature two massive teams using their respective numbers to complete an objective before their opponents. At the very least this will give more than one player a chance to beat the game, but beyond that, all we have is speculation. Further information will likely be revealed following the completion of 22Cans Curiosity project, which is set to begin this September. We'll have to wait until then to find out if Cooperation will live up to its premise, or whether it will offer its own $77,800 DLC items.